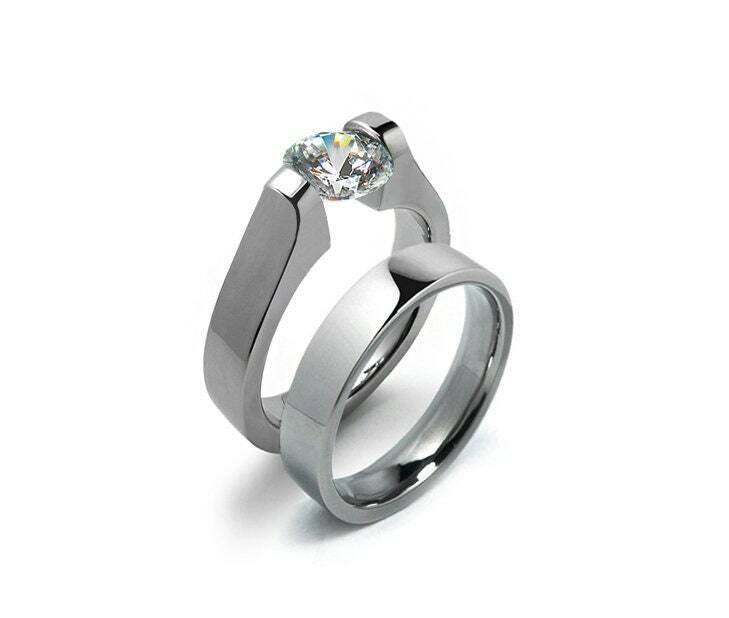 2ct, 1.5ct, 1ct and 0.75ct White Sapphire Engagement Handmade Tension Setting Ring Stainless Steel Comfort fit. 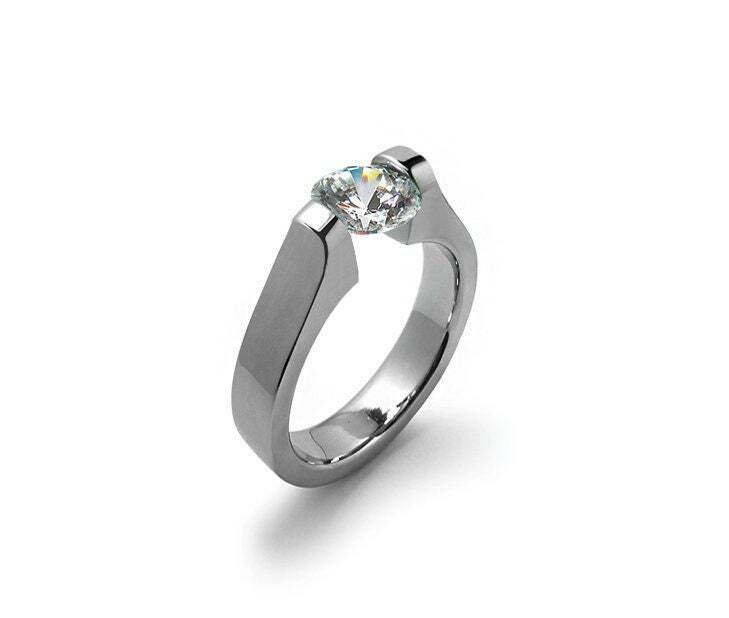 Also in a 1 ct size available with: Black Onyx, Pink Sapphire, Blue Topaz, Peridot, Yellow Topaz, Garnet, Amethyst and Moissanite. The sizes option are in the listing page option box during checkout. Metal Finish: we offer 3 different metal finish, all polished, all brushed and two tone, for two tone we mean: the front and back flat sides in brushed and the shoulder and all around polished.